Welcome to PAK JAPAN MOTORS Pvt. Ltd.
Pak Japan Motors Pvt. Ltd. is one of its kind Private Limited and well recognised Japanese used car Importer based in Pakistan. 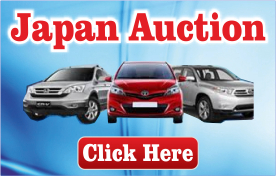 Online access of every auction group in Japan. In other words we provide the best value of your money. We give the reality to your dreams by providing you the selected vehicles of your own choice. We directly buy the cars from auctions for those who have no arrangements for direct imports from Japan. We provide the cars to the customers at their door steps to strengthen their business in a peaceful environment. 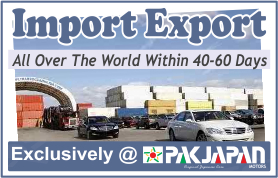 We act as their Agents in Pakistan/Japan to find out their required vehicles at reasonable prices and within scheduled time.